Before I dive into my reasons, let me just provide a quick and dirty explanation for what a 529 College Savings Plan actually is. Basically, it’s a savings account that the government will let you build tax free. It’s like a retirement account for your kids’ college savings. There are lots of little benefits to that, but the bottom line is that it will save you money… or put more in your pocket depending on how you look at it. The days are long, but the years fly by. Before you know it, your kids will be filling out college applications and you will be stressing over your finances. Why? Because not only will college be coming for your son or daughter, but retirement is likely only a mere decade away and that will not be when you want most of your money being funneled to your kids. By setting up a college plan early, you will be able to take advantage of both incremental and compound growth. $50 a month will be peanuts if you wait until they’re ready to leave, but if you put that away starting from birth, you’ll have amassed over $10,000 for them – and that’s with no interest. The interest will likely add a few thousand to what you’ve got. This is a huge reason for setting up a college savings plan. It is going to be ridiculously expensive for our kids to attend college. If you use an online college savings calculator, you will find that to pay for their entire college experience, you would need to save almost $500 a month from birth! Most people will come nowhere close to that. Whatever you can do to lessen the burden will be worth it. 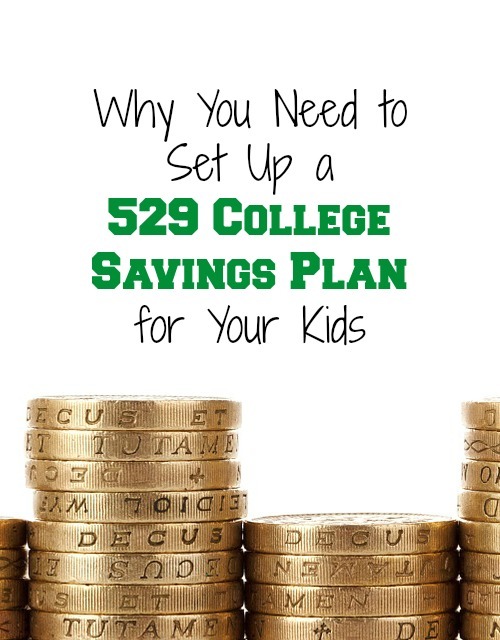 This is the biggest reason to use a 529 College Savings Plan. When you put your money into a 529, it is not taxed, so you’ll actually get a little extra back each year in your tax return. It’s almost as if the government is matching some of your contribution. And this is not just pocket change we’re talking about. This could equate to tens of thousands of dollars depending on the cost of tuition. Maybe it will be because you worry your child won’t find work without a degree, maybe you think they’re not ready for the real world, maybe you’d do anything to help make their dreams come true, or maybe it’s just to keep up with the Jones’. Whatever the reason, odds are that you’re going to want to pay for their tuition (or at least part of it) when the time comes. So do yourself a favor and save what you can now. Your future self will thank you for it. It’s a competitive world out there and nothing feels better than watching your kids win. Having a college degree will give them an extra leg up, but the real advantage comes from leaving school debt-free. They will have more flexibility with where they live, what jobs they take, and when and where they settle down. And hopefully they’ll have the opportunity to start saving for their kids and their own retirement. Follow Nikki @ MBAsahm’s board Investing & Building Wealth on Pinterest. This is great! We love our account for our son and put money in it for Christmas and birthday presents. I’m going to share this on my FB page this week. That’s wonderful! Thanks so much 🙂 I really appreciate that! Ugh, I know you are right! We have invested a ton of money in Florida PrePaid, which is a plan that ensures a set rate for college expenses should your child attend a state school. There is no return on it, though, although you get your money back if your child attends an out of state or private school. Not as good as a 529, but better than nothing, I guess! Very informational. Can you believe I am already starting to save for my kid’s college and I don’t even have kids yet?!?! crazy. It does go by fast, and to start saving when they are younger is a great idea. We didn’t have enough to pay for our kids entire schooling, but we were able to pay a big portion. To not have that over their heads when time comes for school makes the transition easier for you all. Yes this is so true, I wish my parents set up an account when I was born! We have one for our son so that he will be set when he’s going to college. I definitely wish that my parents had set me up something like this! Time to think about it for when I have children. We’ve just started one for our 1 year old! Thanks for the great info! These are some great reasons! I know it would make it a lot easier for my little girl to graduate from college if she wouldn’t have to worry about paying for it! Time does fly! I am horrible at doing this BUT I started taking out max on flex benefits and then at the end of the year when I turn in my receipts, putting that in savings for college. Better than nothing. That’s such a great idea! Every little bit helps 🙂 Thanks for sharing. This is so true. My hubby is a financial adviser and he tells his clients this all the time! 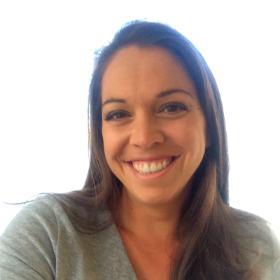 With two children of my own, this is a wonderful resourceful article. I appreciate the tips, some of them are really great! I have four kiddos and unfortunately we aren’t able to save anything right now. These are a great way to save for college though. Sigh… this is so true and I’m BEHIND on it!!! I need to look into this ASAP! Thanks for the post! I do not have kids yet but I have every intention of setting up at 529 as soon as they get here. Yes time flies! I’m finding out how much college tuition has gone up since I went to college. My oldest children are 22 and 18 both in college. And costing us an arm and leg not really but you know what I mean. My son will be headed to Medical School next year that’s the bill I don’t want to see!!! So, we have been putting money towards our four year old’s college fund. I hate to see how much college tuition will be when he goes!! Thanks for the great info. wow!! medical school! congrats! At least you know he will be set for life 🙂 That must feel so good. That’s right college is expensive an we have to save early. Tax-free savings accounts are the best. So important to think of these types of things early on in life!